And Other Winged Creatures. Watercolor and pen. 2013. Amazona. Watercolor and pen. 2013. “We build our maps of symbol[s] in such heart-deep, secret ways. It is almost impossible to pick the symbols from ourselves and to discuss them without the act of going inward, going back, and going down. The bird lady kept coming back to me with increasing frequency and urgency since 2007 or so. She first started to insinuate herself into my poetry, especially in my mother poems. Birds populated our garden in what felt like the hundreds after my grandmother’s near-fatal heart attack in late 2006. I remember my mother gardening with an unexplainable fervour, growing flowers and trees where there were none, sprouting things with hands that had never grown a thing before. It was only years after, when I started working on a paper on landscape and women’s poetry, that I came into a fuller awareness of the garden metaphor in women’s writing and art. 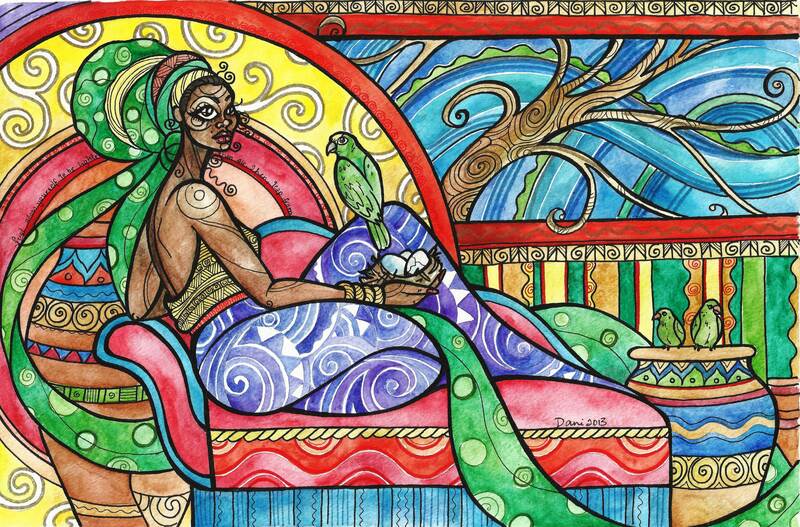 Danielle Boodoo-Fortuné is a poet and artist from Trinidad. Her work has been featured in several international journals. She was awarded the Charlotte and Isidor Paeiwonsky Prize by The Caribbean Writer’s editorial board in 2009, nominated for a Pushcart Prize in 2010, and awarded the Small Axe Poetry Prize in 2012. 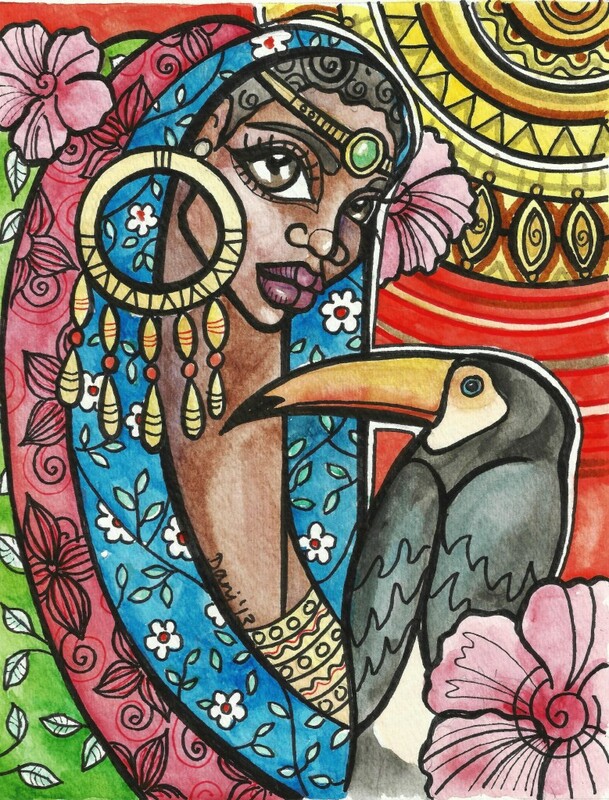 Danielle’s first solo art exhibition, Criatura, was held in June 2013 at the Art Society of Trinidad and Tobago. You can view more of her images and writing at her blog, Half-Broken Things.